In face of the persecutions during the First and Second Crusades, the Jews of France emigrated to Europe, including England. Thriving Jewish communities in the 12th century existed in London, York, Norwich, Lynn and Stamford. When they arrived they found a familiar, fairly hospitable climate. England had been conquered by the Normans, who were Frenchmen. The English kings in reality were Frenchmen who also spoke English. During the entire period from the 1100s to the 1300s, kings of England claimed to be kings of France, and vice versa. In the 14th century, the Hundred Years War was the English kings attempting to acquire France, and the French kings attempting to invade England. When the Jews escaped from France after the First Crusade in 1096 and after the Second Crusade in 1146, England was a relatively hospitable place because of the relationship between the two burgeoning-but-not-yet-really-warring empires. The Jews found financial protection for their enterprises and quickly established not only synagogues but great houses of learning. It looked like England was going to be a haven for Jews for a long time. However, through a series of events no one could have foreseen it was not to be. This often happens in history — especially Jewish history: That which looks good turns out bad, and that which looks problematic turns out to be more successful. Historically, one of the early outward signs that things would not be easy for the Jews of England was the first recorded blood libel in European history. The year was 1144. The basic claim of the blood libel is that Jews somehow use the blood of a Christian, preferably a child, for ritual purposes. In the pagan world, such things were well known. Of course, in Judaism it is unacceptable and unknown. During the Middle Ages, however — in an illiterate, superstitious climate — it wasn’t hard to promote such canards to the Christian masses. On Good Friday in 1144 the Christian world was in frenzy. (Blood libels typically coincided with Easter because it usually coincided with Passover.) The priest had preached how the Jews crucified Jesus, and how on Passover they needed to mix Christian blood with wine and bake it into their unleavened bread. There was a boy named William who lived in Norwich and who had died. Rumors circulated that the Jews caught William and bled him to death the same way they bled Jesus to death on the cross. A pogrom was launched in Norwich. In 1255, the blood libel came to the fore again when a boy named Hugh disappeared and was presumed dead. The Jews were accused of crucifying the child in a ritual act and several were executed. Little Hugh, as he became known in the Christian world, was canonized as a saint. His case was also made famous because it was mentioned by Chaucer in his Canterbury Tales. William and Hugh were only two of the more famous examples of blood libels in England. A great deal of the anti-Jewish climate at the time came as a result of the Church’s frustration from its defeat at the hands of the Muslims in the Second Crusade. It needed a scapegoat to deflect criticism from its own shortcomings — and there was no better scapegoat than the Jews. For a long time things had not been going well for the Christians in the Holy Land. In the 1170s and 1180s, Saladin — the great Muslim warrior, who benefited from a close association with Maimonides, his physician – united the Muslims and destroyed much of the crusader kingdom. The only place the crusaders were left was in Acre, where there was a large crusader castle that can still be seen today. Before 1096, Muslims control over Jerusalem was a thorn in the side of the Christians, but not a theological problem. As long as the Christians did not contest the right to the holy places, it was not a battle of religions. However, the crusades, which essentially were holy wars, became viewed as contests proving whose side God was on. The loss of the Holy Land to the Muslims therefore raised new theological problems for the Christians. Christianity was proven inferior by the defeat. Christian Europe had to respond. In 1189, the Third Crusade began. At its head was the English king, Richard I, popularly known as Richard the Lionheart. In popular imagination he is commonly portrayed as a great and noble warrior. In actuality, he was an exceedingly deceitful, immoral, cunning and vicious person. His motivation in leading the Third Crusade was basically political. He was not very religious, although in the Middle Ages everyone was religious. Everyone believed in heaven and hell. But kings like Richard felt they could buy their way out or in. He had himself crowned at least three times, because his status as the rightful king of England was always contested. Before embarking on the crusade, during his coronation in Westminster Abbey in 1189, he incited a mob against the Jews and initiated the first pogrom in the city of London. Hundreds of Jews were beaten to death, robbed and burned alive. Jewish homes were burned down, and several Jews were forcibly converted. That was before the crusade. When he left, he was very successful along the way. He conquered Sicily and Cyprus. He reestablished the Christian stronghold in Constantinople, and conquered a great deal of the coastline of Palestine from Acre to Gaza. However, he could not conquer Jerusalem and was utterly defeated by the army of Saladin. The defeat ended any chance of recapturing Jerusalem. Richard made a truce with Saladin, which allowed the Christians to remain in Acre, but gave up all military action in the country. Jerusalem remained Muslim, and Richard set out home. Richard had many enemies in Christian lands. One was King Ludwig of what is today Bavaria and Austria. Ludwig captured him and held him for an enormous ransom. Force the barons and knights pay a special tax for every servant they had; meaning the greater and number of servants a nobleman had, the greater the tax he had to pay. Levy a special tax on the Jews. This was the beginning of the end for the Jews of England and many began to emigrate back to Europe. Almost 25,000 Jews left England. Most left with little more than the shirts on their backs. The 200-year effort to build Jewish communities in England came to an ignoble end. In an odd historical twist, the persecutions and expulsions led to the preservation of the most important Jewish manuscripts. Since the Jews were forced to leave everything behind — even their books – many manuscripts came under the care of what would become the Bodleian library that exists in the Oxford University today. It has the greatest collection of manuscripts from the Middle Ages. Some say the original copy of Rashi is there. Over the past 150 years, Jewish scholarship has benefitted enormously by having access to this seemingly non-ending treasure trove of ancient Jewish manuscripts. In 1179, the Church convened a council called the Third Council of the Lateran. It was allegedly called to suppress a heresy that existed in southern France against the Church. The Pope called the council to excommunicate the heretics. However, the council claimed that the Jews were behind the heresy. The Jews were very strong in southern France and Provence, and they said it was the Jewish ideas and society that created the heresy. The Lateran Council passed certain rules regarding the Jews. For instance, it forbade Jews to have Christians as servants. Among wealthy Jews, non-Jewish servants always existed, but even lower class Jews were often forced to use non-Jewish help on the Sabbath for example. Furthermore, in the medieval world there was hardly a synagogue that did not have a non-Jew in its service in one fashion or another. It was a necessity of Jewish life. But the Lateran Council now forbade it. The Jews got around it — and the non-Jewish servants did too because it was also to their benefit. However, it was now illegal. In essence, the Church created a system by which almost all Jews would be conducting illegal activities. Once it became illegal they were at the mercy of the government. Under such a system, it was not a question of whether the Church enforced it or not. Now the Jews were open to anyone who wanted to stir trouble against them. The Third Lateran Council was followed by the Fourth Lateran Council in 1215. Now, for the first time, a rule was passed that Jews had to wear identifiable clothing. It could be an arm band, a scarf, a badge or a special type of hat. In England, the badge was a red crimson cloth that had on it the two tablets of stone with the Ten Commandments. If a Jew was found without his identifying mark, he could be and many times was killed. However, the Jews took these badges of shame and made them into badges of pride. The Jewish hat became the Sabbath hat. The patches and clothing became distinctly Jewish dress. Until the 19th century, no traditional Jew would be dressed like his non-Jewish neighbor, even if not forced to do so. In that they were different than their Sephardic brethren in Spain who wore the same clothing as the Muslims and could not easily be identified as Jews. The Jews in Ashkenazic lands, however, turned the edicts of the Lateran Council regarding their clothing from a badge of shame to a badge of pride. In 1240, a Parisian Jew named Nicholas Donin converted to Christianity. Donin was very ambitious and had visions of rising high in the Church. He convinced the king of France, Louis IX, that he would be able to prove the truth of Christianity through the Talmud. This is the same claim that Pablo Christiani, another converted Jew, would make in Spain in 1267 in his famous debate with Nachmanides. Convincing the authorities that you could prove Christianity through the most authoritative book unique to the Jews was a sure path up the ladder to success in the Church for a Jewish convert. Louis, therefore, ordered the rabbi of Paris, Rabbeinu Yechiel, to debate Donin. All of the debates in Europe were losing propositions for the Jews. There was no freedom of speech. Only Nachmanides succeeded in winning the right to free speech, and even after he won the debate he and his community faced intensified persecution for his efforts. In all other debates, one could say nothing that would insult the Church, effectively making it not a debate at all. Nevertheless, Rabbeinu Yechiel made such a skillful defense that the king agreed that it was true that one could not prove Christianity through the Talmud. However, he said that the Talmud was an insult to the Christianity. Therefore, in 1242, he ordered the burning of 24 cartloads of priceless Hebrew manuscripts. He collected all the copies of the Talmud and burned them. For his efforts, the Church canonized him as a saint in 1297. That event effectively marked the end of the Jewish community in France. The king followed it with an expulsion of the Jews — after despoiling them, and taking away their money and property, of course. The Jewish community in France never really recovered to this day. These two blows — the burning of the Talmud in France and the expulsions of the Jews – makes it not hard to imagine how precariously close Ashkenazic Jewry came to being destroyed physically and spiritually. As always happens in Jewish history, a number of great people will step into the breach and singlehandedly rebuild Jewish life, establish academies and restore all the manuscripts. 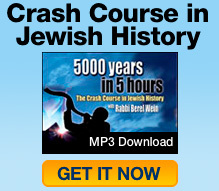 The only real explanation is that Jewry was saved by Divine intervention. Certainly, barring such intervention the prospects for the continuation of Ashkenazic Jewry looked entirely bleak by the end of the 13th century. What happened is that many Jews now moved to Bohemia, Vienna, Austria and further into Germany. They even began to move as far east as Poland. Combined with the intensifying persecution of the Jews in Spain one can only stand back in awe and wonder how Jewish people survived at all! And not only did they survive, but they went back about their business as if nothing happened! They rewrote their manuscripts, rebuilt their academies and reestablished their lives. The transfer of Ashkenazic Jewry from England and France to central Europe and eventually Lithuania and Russia is nothing short of a miracle. I teach near Dachau and am trying to research the Jewish pogroms in my town during the NSDAP era. Anyone able to help?